Xona Microfluidics, LLC, a global leader in bringing to market Innovative Systems for Experimental Neuroscience℠, announces its plans to attend the Society for Neuroscience 2018 48th Annual Meeting at the San Diego Convention Center. SfN brings together scientists and doctors from around the world for one of the largest Neuroscience Conferences geared toward understanding the brain and nervous system. Please visit Xona Microfluidics, LLC at booth 404 for an opportunity to visit with some of the leading scientists in the field of neuro-microfluidics. 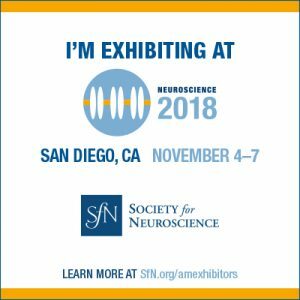 Xona Microfluidics, LLC is planning to attend the 48th Annual Society for Neuroscience 2018 meeting at the San Diego Convention Center from November 3-7 at booth 404. We’d love to hear from you! Come by Xona’s booth for a chance to meet with top neuroscientists to ask questions. In addition, Dr. Anne Taylor, a founding member of Xona Microfluidics, LLC, will be giving a talk on the culturing of human stem cell derived neurons in the ground breaking XonaChip™ technology and showcasing results. This will also be an opportunity to talk with other Xona product end users and share experiences as well as knowledge. Stay tuned as we develop our SfN program, which may include additional speakers, surveys, complimentary refreshments, potential prizes, and discounts! Xona Microfluidics, LLC looks forward to seeing you Nov 3-7 at booth 404 at the San Diego Convention Center for the 48th Annual Society for Neuroscience meeting, one of the largest conferences in the world focusing on the nervous system and brain. Xona Microfluidics, LLC is located in Temecula, California with R&D offices located in Research Triangle Park, North Carolina. Please find more information at xonamicrofluidics.com. If you are interested in testing a XonaChip™, contact us at info at xona.us.